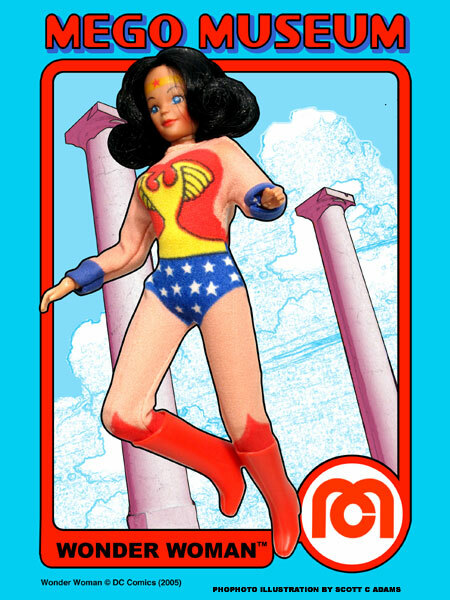 As the female part of DC’s “Trinity” of heroes, the Amazon Princess was a no-brainer for Mego. 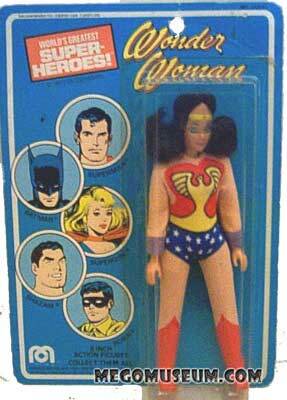 Wonder Woman was released as part of the 1974 Supergals assortment. 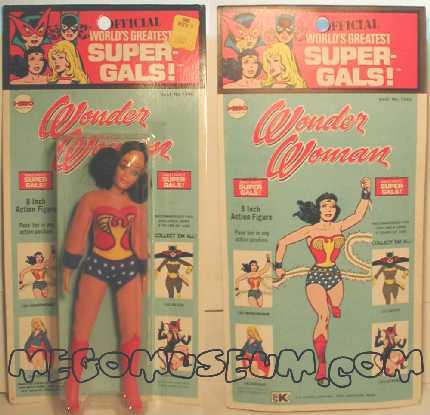 Like all the Supergals, the initial release was comprised of an entirely silk screened outfit in an effort to rush the figures to stores for Christmas. 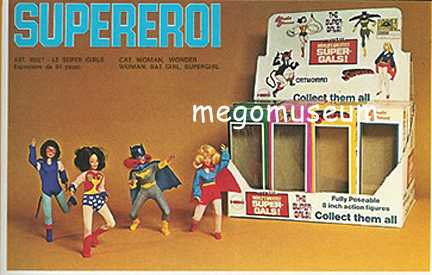 The Mego Supergals wave was released in their own store counter display box, very few survived. 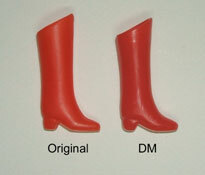 Tooling was provided later for Wonder Woman’s red boots, her sole accessory. 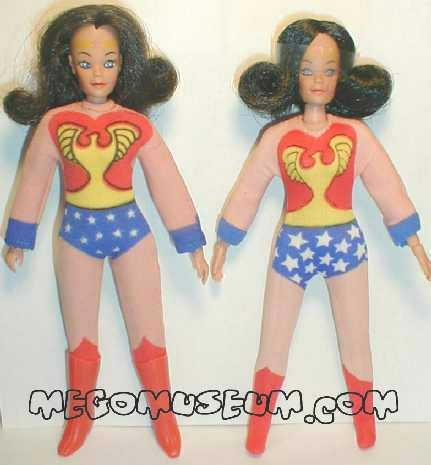 Mego also created a figure of Wonder Woman’s little sister Wondergirl for the Teen Titans line in 1977.
it’s interesting to note that the above figure is yet again, another variant. 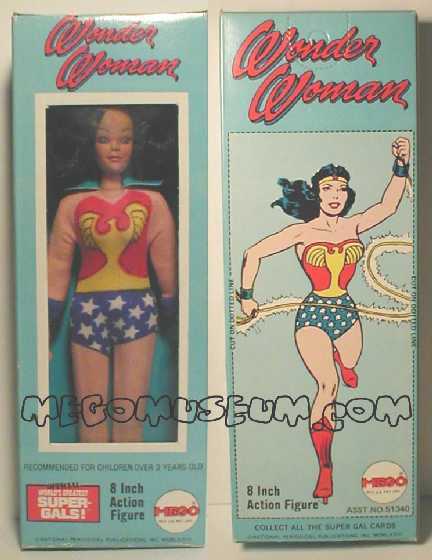 Note it’s use of the straight arm and the subtle differences in the outfit and head. 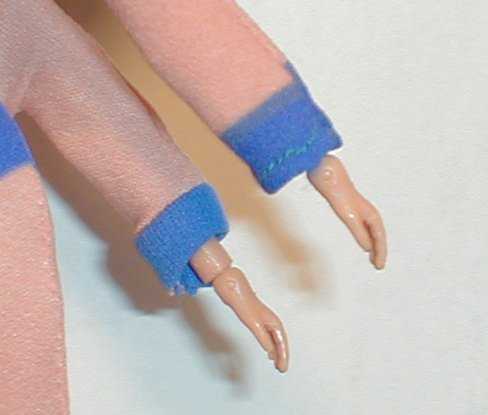 Loose examples of this figure often turn up in France. 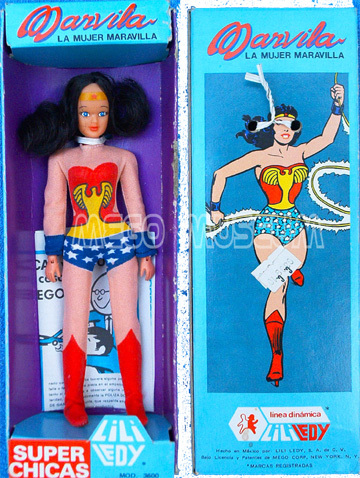 Wonder Woman doesn’t need the boots to be complete, she came without them as well. 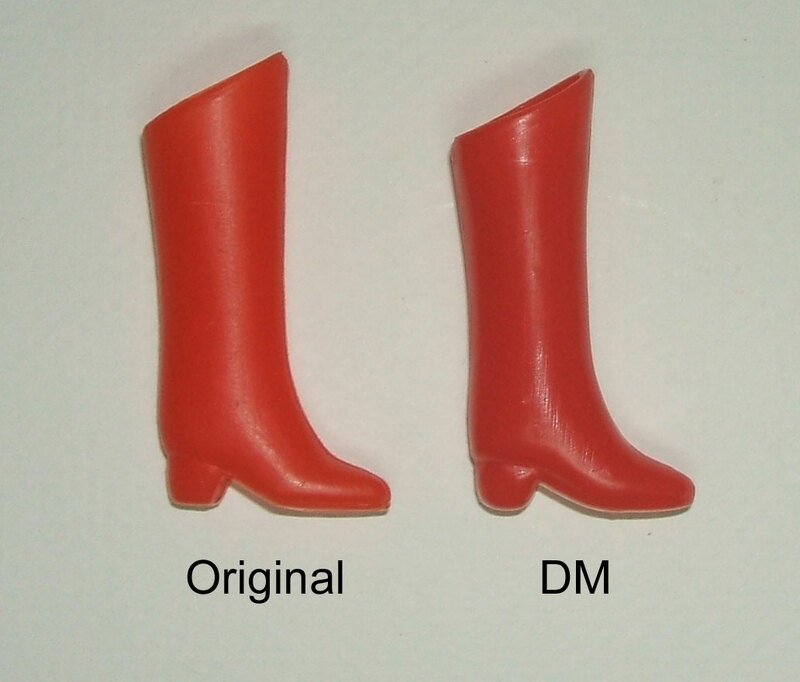 Doctor Mego makes the only factory made reproductions of her boots. They are a touch shorter, a little thicker in material and a little more glossy than originals. They are stamped DM on the bottom.